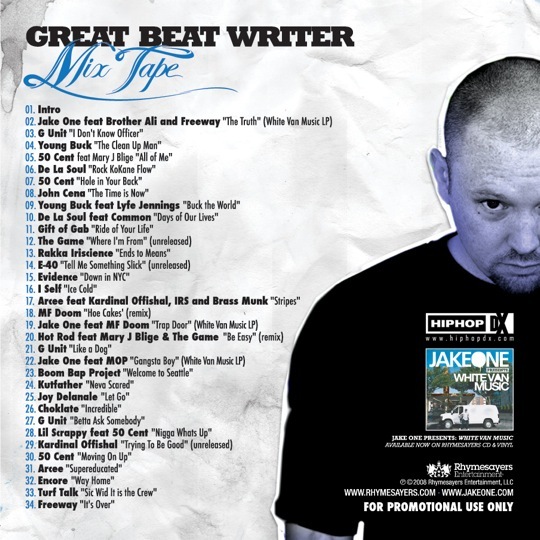 Producer Jake One hits us with the Great Beat Writer mixtape in anticipation of his album White Van Music dropping October 7th. Grab your free copy over here. Thanks, there’s some tight new songs on here. New DOOM is always nice, too. “Trap Door” is cool but the vocals sound weird. you’ve an important weblog right here! would you wish to make some invite posts on my weblog?